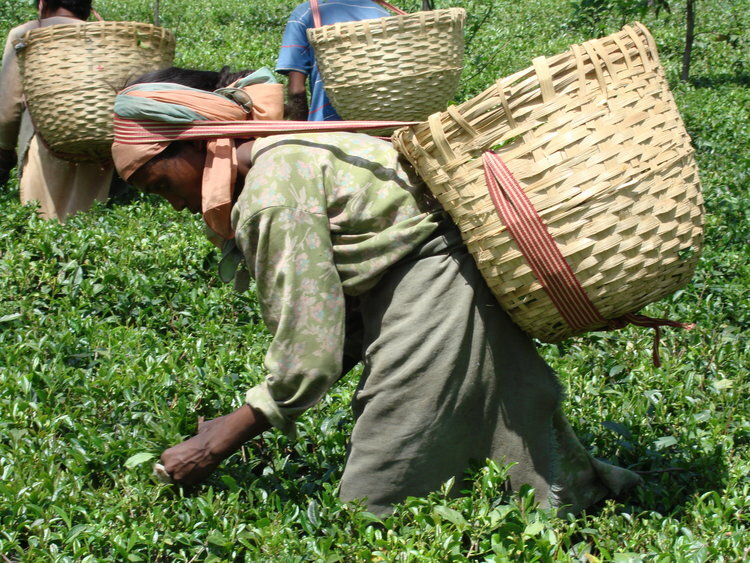 Palampur is known as the tea capital of north India. This bustling small market town is located at the foot of the Dhauladhar mountain range within a valley of countless mountain streams that irrigate the numerous tea plantations and rice paddies. A mosaic of lush plantations, rice paddies and pine forests stretch away towards a horizon of distant snow-capped mountains. The tranquil hill station of Palampur is a historic relic of natural grandeur set in a spectacular mountain panorama and exudes its own unique rustic beauty and comfort. The lush plantations with the backdrop of the spectacular Himalayas adds to the beauty of Palampur. The region is abundant with tea estates, trekking trails, quaint monasteries and is a nature lover’s paradise – it is one of the prettiest places on earth. Palampur was established by Dr. Jameson, who introduced tea plantations to the hill station. I visited the privately owned Wah Tea Estate which is spread over 526 acres. The estate was originally established in 1857 by the British but since 1953 the Wah Tea Estate has been the ancestral tea garden belonging to the Prakash family. During a plantation tour our guide explained everything from its history to leaf plucking and manufacturing process, ending with a tea tasting session in the tea garden. The tea plantations are one of the highlights of Palampur, you can also go hiking in the surrounding mountains and pine forests or perhaps gorge on homemade thukpa (noodle soup) and other delicious Tibetan food or do nothing other than stargazing. The Palampur region is also host to the world paragliding championships which were underway when I was visiting. At 2290 metres above sea level it is said to be one of the best paragliding sites in the world. I was very happy to keep my feet firmly on terra firma but the views from the gliders must have been sensational. Set against the splendid backdrop of the legendary mountains, the spired temple of Baijnath attracts people from all corners of the world. The temple is dedicated to Shiva Vaidyanath (Lord of Physicians) and was built by two merchant brothers in 804 AD. The temple has become synonymous with mystic invincibility. My driver was from a village in this region and invited me to his home to meet his family and share local treats of chai and pakoras. There was much excitement in the village as it was Halloween and I was met by children dressed in costumes out trick-or-treating. All over the world kids just want to be kids no matter where they are.